Jump Reports are published approximately 1-PM EST on the day of the event. Auto-trade entry is usually near market close. All of these events may be auto-traded (see jump report), but that schedule is subject to change based the latest intelligence. 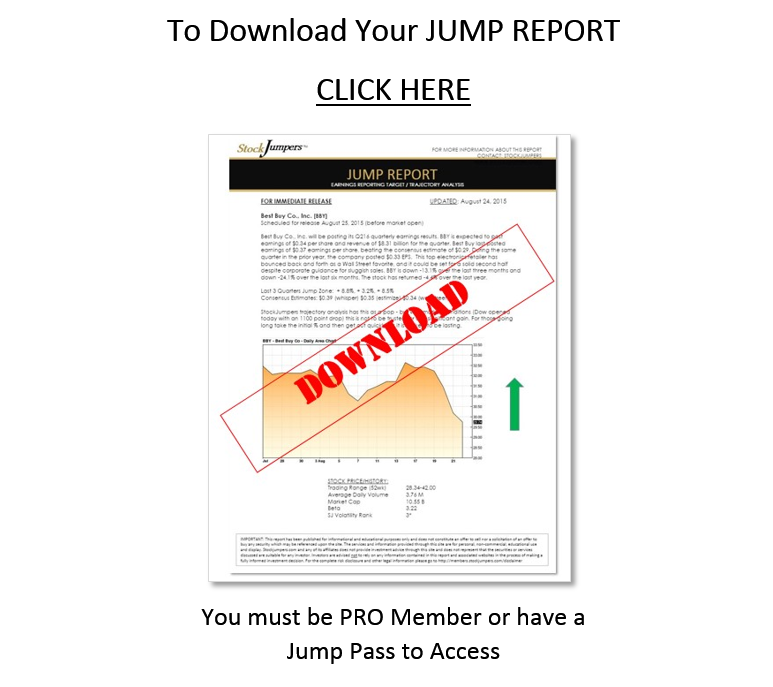 Members of our PRO-JUMPERS FUND have access to all the jump reports we publish. Clicking here will take you to the restricted access page for PRO-1 members where we publish these reports. If you wish to become a member, the first step is to register. Visit the JOIN page. Jump Reports can be auto-traded AND traded manually. The only additional cost is the auto-trader software licensing fee. NOTE: FOR AUTO TRADING – CURRENT PRO AND UNLIMITED MEMBERS WILL RECEIVE A COUPON FOR FREE MONTH(S) DEPENDING ON THEIR SUBSCRIPTION LEVEL. TO GET THE COUPON PLEASE EMAIL US BEFORE YOU SUBSCRIBE YOU MUST BE A PAID-IN MEMBER IN GOOD STANDING TO RECEIVE THESE FREE MONTHLY COUPONS.